The Swami 4000+ Golf GPS is similar to its predecessor the 4000 in many ways as it has all its features. However, it has been given some updates to make things better for a golfer. The most notable of these new things is the distances to hazards and doglegs. Although it might not look like much this one additional feature changes the device entirely and makes it even more useful to your game. Apart from this, it also has the amazing course map editing feature that lets you adjust your course to conform to any changes that may have taken place. This feature is what I liked most because I was able to make some adjustments on my local course as it had undergone a facelift in the last couple of months. Although it is quite a basic device, it still has all the essential features that you will ever need for a best golf GPS device. 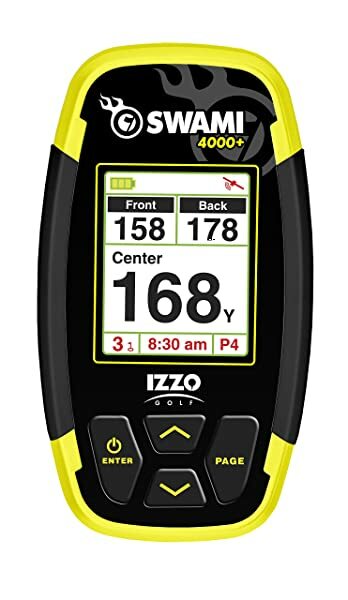 Distance Measurement: Izzo Swami 4000+ golf GPS measures the distance to the front, center and back of the green and it also measures distances to doglegs and hazards. All these measurement capabilities mean that it will give you all the information you need as far as distance is concerned. Shot Distance Measurement: With this GPS device you will be able to measure how far you hit each ball and so it’s easy to know what you need to work on to improve your game. Preloaded Courses: Come preloaded with more than 30,000 international courses that will not require any further downloads or subscription fees. 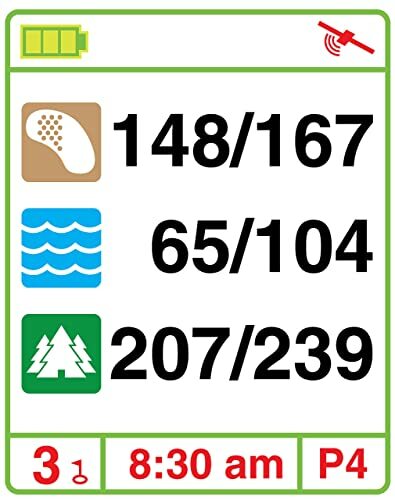 It also has a unique feature that lets you edit a course map. Display: This GPS has a 1.8 color inch display screen that is very easy to read. The fact that it is large and vibrant is one of the things that make this an excellent device as you will never have to strain your eyes to get readings. Auto-Hole Advance: The auto-hole advance feature is one of the must have in any GPS device as it automatically identifies and moves to the next hole and hence saving you a lot of time on the green. Multi-Lingual: With the Swami 4000 plus you do not have to speak or understand English as it supports up to four languages. This only means that you have the freedom to use it in a language that you understand best. Distance Display: You have the option to show distance in either meters or yards, and so you will not have to waste effort trying to convert from one to the other when playing. Battery: It is powered by a rechargeable lithium-ion battery that can last up to two rounds of golf in a single charge. Waterproof: Has waterproof casing that ensures durability and usability even under severe weather conditions. The Izzo Swami 4000+ will measure distances and do all the other necessary things that you would expect a golf GPS to do, but its primary benefits and perhaps its biggest over others is speed and accuracy. When you switch on this device, you will have distances displayed in just 30 seconds or less which is even much faster than many other devices that are double its price. With this GPS, you are also assured of an accuracy of up to a yard from as far as 150 yards away. As a golfer your biggest concern when using a GPS device is accuracy because some can be way off but this should be the least of your worries when using the 4000+. The Izzo Swami 4000+ is one of the lightest golf GPS currently on the market, and so it will be very convenient to walk around with on the course for many rounds. It is a very affordable device despite the fact that it has all the fundamental GPS features and a few extra ones that will come in handy on the green. Comes with a bright and easy to read display screen that shows the back, center, and front of the green. This GPS has a very long battery life and depending on the number of rounds that you are playing it can even last for an entire golfing weekend without having to recharge. No matter what part of the world you are it is almost sure that you will find that small course in your neighborhood already preloaded. Although it has been available for some time now the company seems to have issues with its distribution and you will likely not find it at your local store. Just like its predecessor, it is not compatible with the Macs, and so this technically disqualifies some golfers from using it for their game. The Izzo Swami 4000+ Golf GPS proves that you do not have to spend a fortune to own a top notch golf GPS device. 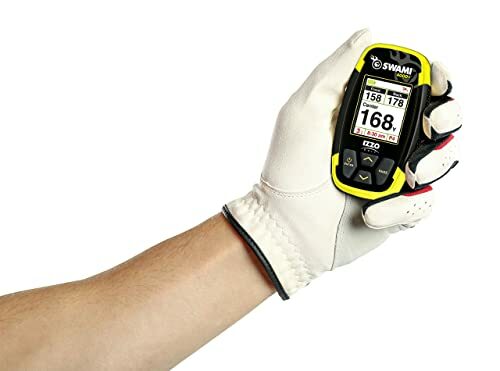 With the ability to measure distances to doglegs and hazards, this GPS device provides you with all the information you need to take an excellent shot. It might have a few cons just like any other GPS device, but it performs way much better than most others in the same price range. If you are looking for an accurate distance measuring device to use in a pro match or even for practice, then the Swami 4000+ makes the cut.